Is Nivea Creme a dupe for the much more expensive Creme De La Mer? I worked in beauty for over 10 years after university. Ive tried all sorts of moisturiser from Creme De La Mer to Arden Prevage and Lauder re-nutrive; I’ve also used all sorts of mid and drugstore moisturisers. One that I’ve seen constantly recently is Nivea Creme. Beauty vloggers, celebrity makeup artists (MUA) and reality stars all seem to have a pot of the distinctive blue jar sitting on they’re makeup consoles, or in there kits. Of course my interest was piqued….. if its good enough for those flawless reality stars and celebs I need that in my life! 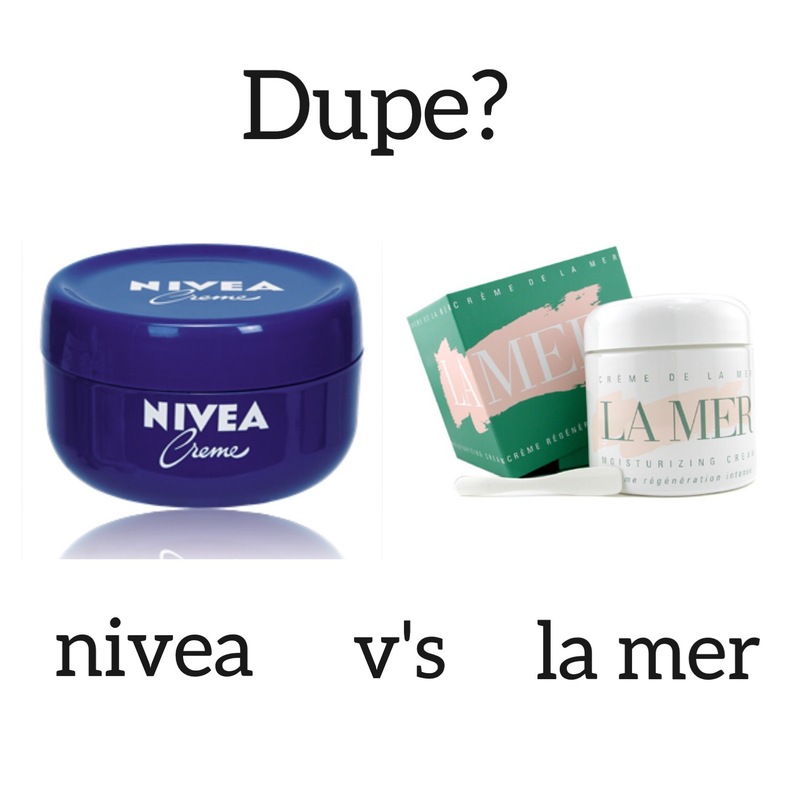 IS NIVEA A DUPE FOR CREME DE LA MER? I guess Nivea Creme isn’t an exact dupe, but for a few pounds its a great moisturiser and add in a antioxidant serum and your still not paying £108 so more money for shoes and bags! Flip I wish it was a dupe! Defs not. The glycerin in CDLM is plant based – which is more expensive – most cheap moisturisers with glycerin in the ingredients is synthetic or petrolatum based. And the good old magic seaweed foam – tis only amazing! To be honest though – for me – the serums are waaaay better than the moisturisers. The radiance serum? Un flipping believable. I didn’t know I had an issue with radiance until I use it. Unreal! I only had a 30ml of the original CDLM and didn’t see a huge difference in my dry eczema prone skin versus using the European Nivea. I agree ingredients are far more superior in high end products, but little old blue Nivea is a great little work horse. Especially price wise. Thanks for that honey! I’m in N Ireland so will see if I can get it here.